required tightening at all joint, which was really no trouble as I would check them as a rule anyway. Item worked great. 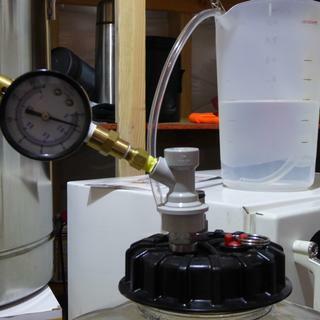 I got much more aroma dry hopping under pressure and beer was carbonated in keg much sooner. 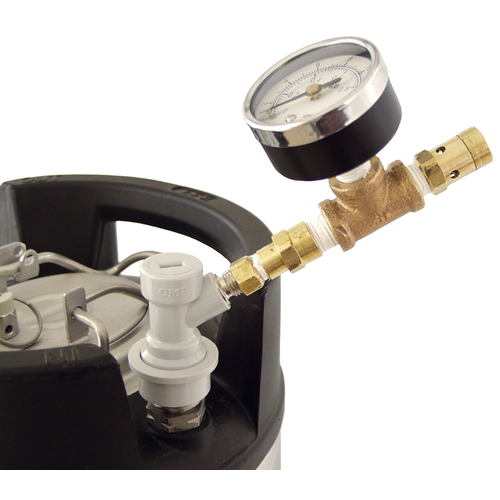 I bought this in order to get into natural carbonation and pressure fermentation, and I just about love the thing. Obviously, it's easy to use (set a regular to target pressure and adjust the valve til it just barely vents), and it seems relatively sensitive, which is great. The only caveat: mine came with a fitting that had no plumber's tape, which I applied, and the fittings were loose enough that I hemorrhaged CO2 until I soap-tested the thing and tightened it. Also, I looked into making one myself, and the price is very similar, so it's worth mentioning that this thing is a solid deal. This thing is great i have been spunding like crazy since i got it. Works great after I tightened one side, it was leaking. Leaked and not sure I liked the guage. It leaks at about 8PSI and after calling about the problem nobody has called me back like they said they would, I've bought 2 others from other companies and they did not work either. Took ~ 30 min to reach 3 psi after replacing blowoff hose with spulding valve 48 hrs into preimary fermentation. Broken when I got it. 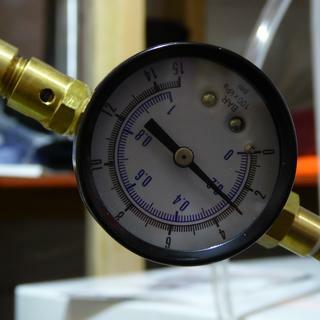 The pressure gauge was mid Ali rated when I opened it, shows 2 PSI when there is no pressure at all. I would say this is an important piece of equipment to have. I read the above reviews and acted on faith in MoreBeer and bought it any way. Turns out it works very well and does what it is supposed to do. It can be a bit tricky to get the setting right, but once you do, it's fine. I bought two of these and put them on a keg to check them for leaks. Good thing I did because both leak. I only started messing with one and the whole assembly was loose, so I tightened it all up. However, the pressure release valve at the end is now leaking. Have yet to look into the second one yet.